Search "Plan of God" 14 results have been found. “Burning with Purpose” by Dr. Annie Smith goes past the experience of salvation to pierce through the veil into the purpose of salvation which is our pursuit of personal destiny to become expressions of God’s glory both in time and in eternity. 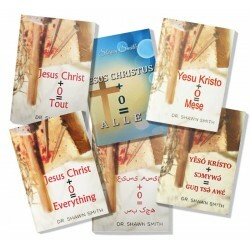 In this Classic teaching series, Dr. Annie SMITH presents a purpose-oriented life and a life full of God works as a life which is sustained by the understanding of Christ living through the believer. Are you fulfilling the work that God has foreordained that you fulfil? Are you in the course that God has ordained for your life? In this classic teaching, you will be completely transformed as you learn of the distinction between salvation and service. 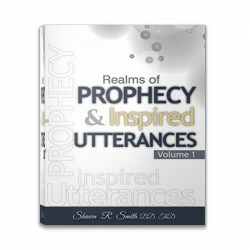 Leadings and Perceptions 1&2 In this life transforming series, Dr. Shawn SMITH presents the importance and indispensability for a believer to know the leadings and the perceptions of the Spirit. Be transformed as you listen. 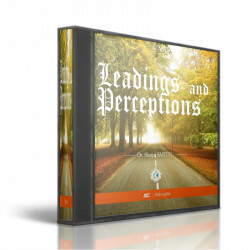 Leadings and Perceptions 3&4 In this third and fourth part of the series “Leadings & Perceptions”, Dr. Shawn SMITH expounds on the subtitle “Following the Inner Witness” as an activity of the Holy Spirit from within your spirit. It is not a mystical experience. Be transformed as you listen. The Lord Jesus Christ died as us that we may no longer live as us but as Him. 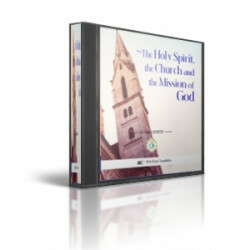 Reverend Dr. Annie SMITH in this inspiring teaching series unveils the vital link between proper Christian ministry unto others, and the understanding of our identity which is derived from union with Christ.